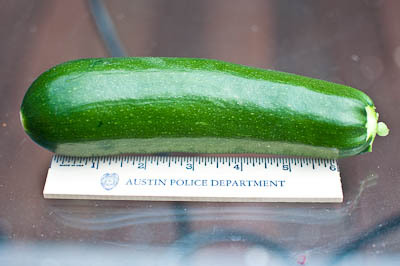 First Earthbox Spacemaster Cucumber harvested today, weighing in at 12oz. Also got another Black Beauty Zucchini. Black Beauty is proving to be quite vigorous–growing much faster than the other squash I planted. First Earthbox squash picked today. Black Beauty zucchini weighing in at 280g. I fear my squash may not be long for this world, however, as the other day I spotted the dreaded squash vine borer moth buzzing around the plants, depositing its eggs of death all over the squash stems. I tried to scrape off the eggs I did see, but I will not be surprised to see my squash shriveling up in a matter of weeks. 5/1 update–picked one more black beauty 169g and first dixie yellow at 190g. The 8-Ball, Zephyr and Multipik have petered out. 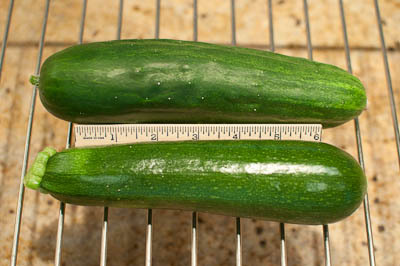 The Spacemaster cucumber has gotten a second wind and has produced another cuke. 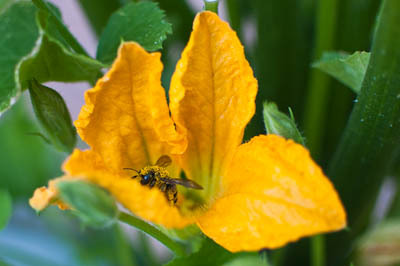 It actually produces tons of cucumbers, but very few get pollinated on this plant. 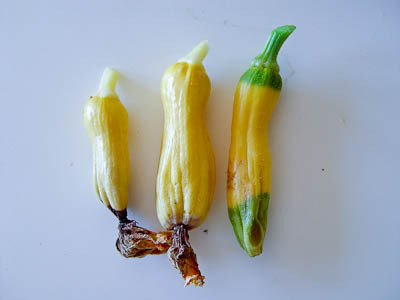 So, I planted three new squash seeds today to hopefully get some Fall summer squash. Trying something different this time. 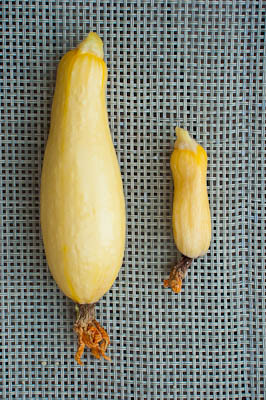 Just went to the local Big Box store and grabbed whatever squash seeds they had. 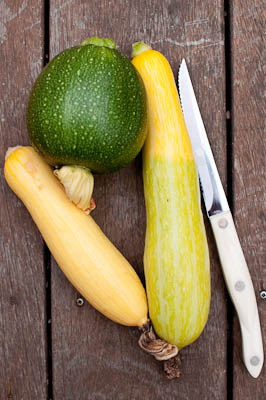 So planted two yellow “Dixie Hybrid” squash and one “Grey Zucchini”. We’ll see. Finally have a cucumber nearing readiness. 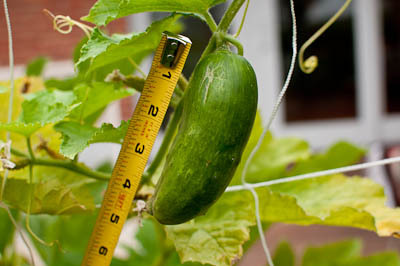 This is a “spacemaster” cucumber, which has turned out to be a sprawling vine that has not lived up to its name. I had to add a trellis to the Earthbox to give it somewhere to meander. This is the first cucumber that has developed on it also, so it is lagging way behind the three other squash plants. Harvested one of each squash variety this morning. Peppers coming along. Not sure when the Anaheim will be “done”. The bells should turn orange when ready. Anahiem...time to pick? The ones at HEB are bigger! Once again I’ve been cursed by puny jalapenos. The ones on my plant this year are about one inch long. 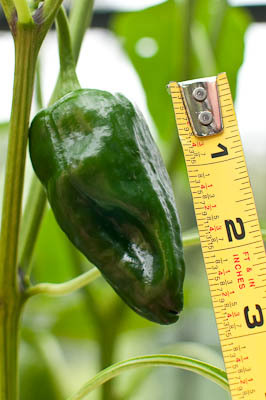 Next year I’m going to seek out some “jumbo” variety and start one from seed. This plant I got at a nursery. 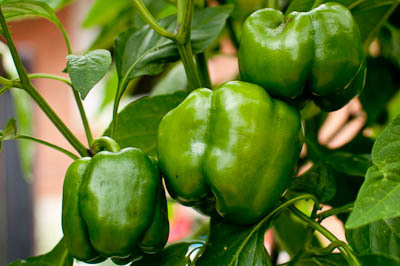 It’s certainly productive, but I’d prefer a bit larger peppers. Am finally getting some Poblanos. Hoping they turn out to be normal size. Last year the plant produced puny ones. That was a plant picked up at a nursery. 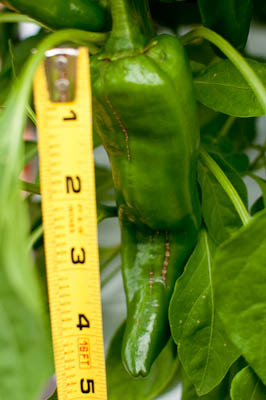 This one I grew from seed that as far as I could tell should produce full size peppers. The bees have found my Earthbox! So far I have only seen bumblebees and not the garden-variety (heh heh) orangish bees. At least I think they are bumblebees–they’re black and yellow colored. Regardless, they are doing their thing.